The second STOKIE 'POTS, PITS & PEAK' WEEKENDER, - A TR event with a difference. 1st and 2nd June 2019 : Based in Stoke on Trent. Now I have got your attention, just read on a little more and you may find that this 'TR' event with a bit of a difference, may just be something that you and yours will enjoy. It's a visit to an urban location rather than a countryside venue with all the differences that will entail. Oh yes, and everybody will call you 'Duck' ! This year we have built on the Classic cars / Pits / and Pots theme and will be visiting some of the areas of industrial heritage in and around Stoke on Trent. On Saturday morning, we will be visiting the 'Etruria Canal Festival', a quality annual event for canal enthusiasts and a must for all fans of Industrial heritage. This takes place at the Etruria Industrial Museum (www.etruriamuseum.org.uk) where the 1820s Beam Engine will be in steam driving the potters' mill. Later on Saturday afternoon we will go to Apedale Colliery Heritage Centre ( www.apedale.co.uk ), a local mining museum where we can walk through an original drift mine, and ride on the Apedale Valley Light Railway (www.avlr.org.uk ). On Saturday evening we have arranged for a group meal at the Trentham 'Premier Inn' hotel who looked after us so well last year and made sure that all who ate and stayed there overnight had a really good experience. 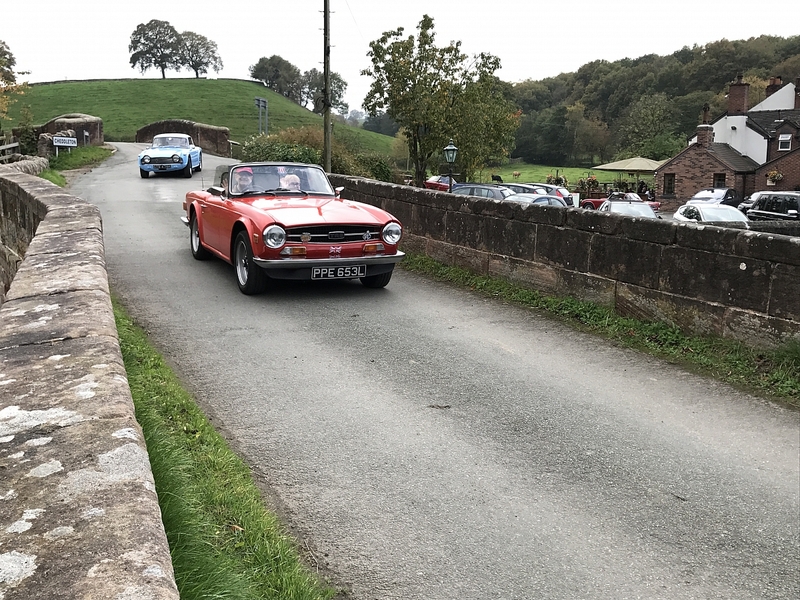 On Sunday June 2nd we have arranged a tour of the southern end of the Staffordshire / Derbyshire Peak District, taking in some fantastic roads, and places of interest. It will be a relaxing tour with plenty of stops and time to take in the scenery – you will not be disappointed! We will finish at the Rudyard Lake Hotel around 4.30pm for a late Sunday Lunch. We accept it's not an obvious place to come and visit with your TR, however, if you like Industrial heritage, crocs (our name for ceramics) and superb roads, (yes, really!) and good company, you just might enjoy our 'Stokie' weekend, why not give it a go ? The event will be based at the Premier Inn Hotel at Trentham, adjacent to Trentham Gardens, which, in its own right is well worth a visit. The best rates will be negotiated online www.premierinn.com for anyone wishing to stay there. It is our intention to entertain those of you who come along, but there will also be the opportunity to learn a little more about the places, people, and history of the area along the way. It's our intention to make the whole event flexible and anyone attending can opt 'in,' or 'out,' of anypart of the event to suit their needs or interest. Email wloomes@btinternet.com if you are interested or need any further information and I will send you a booking form.